“We need to build bridges, not walls.” Former U.S.Ambassador to the UK, Matthew Barzun’s face illuminates a screen as he says these words. He is projected there as part of a live video conference for the 20 eager listeners participating in the Jo Cox Memorial Exchange Program, sponsored by the U.S. Embassy in London and administered by Legacy International. The participants are listening intently—taking notes and nodding their heads; speaking to him about the projects they are planning to implement upon their return home. His message of unity through adversity is timely and the young people vocalize their agreement—reflecting his call for fellowship through their own hopes and plans for the future. 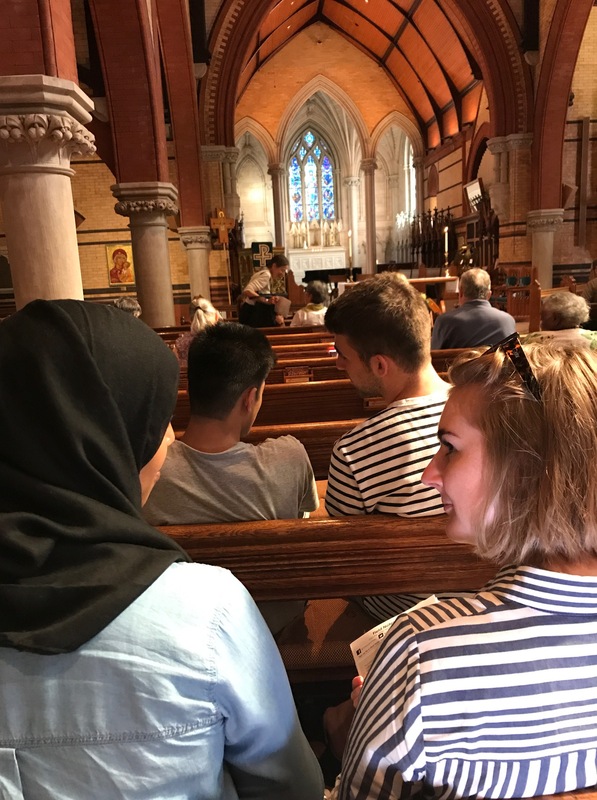 Participants attend a meeting and service at the Church of Saint Martin-in-the-fields in Philadelphia to discuss social justice, racism, and community engagement. In August 2017, Legacy International organized an immersive educational experience for 20 young people from across the United Kingdom. 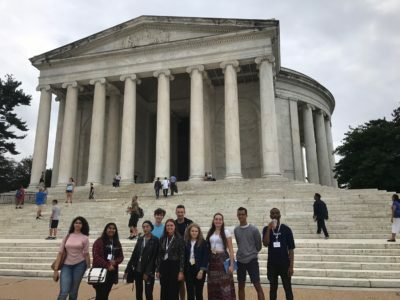 The Jo Cox Memorial Exchange Program afforded these young leaders the opportunity to explore the topic of social cohesion in the United States. The program is named after Jo Cox, a member of Parliament for Batley and Spen, who had a strong moral compass and a passion for finding solutions to end violence and discriminatory hate. Jo Cox tackled issues of Islamophobia, refugee rights, and was a champion for representing ethnic diversity among her constituents. Her tragic death in June 2016 sparked global outrage and strengthened the resolve of the international community to carry on her legacy of tackling extremism and violence and promoting social inclusion and cohesion. 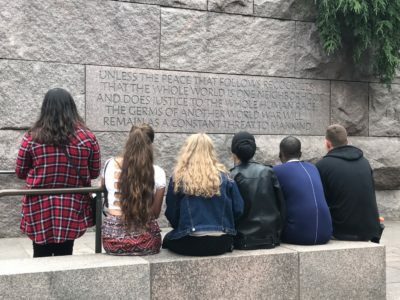 Jo Cox Memorial Exchange Participants take time out to tour the monuments and sites of Washington, DC while learning about building social cohesion. The tragedy in Charlottesville, VA occurred just prior to the group’s arrival, providing a backdrop to discuss leadership, freedom of speech vs. protection of people, and a vast array of social topics and issues. Moreover, Legacy International’s LivingSidebySide® curriculum formed the foundation for personal leadership and dialogue skill building throughout the duration of the program. 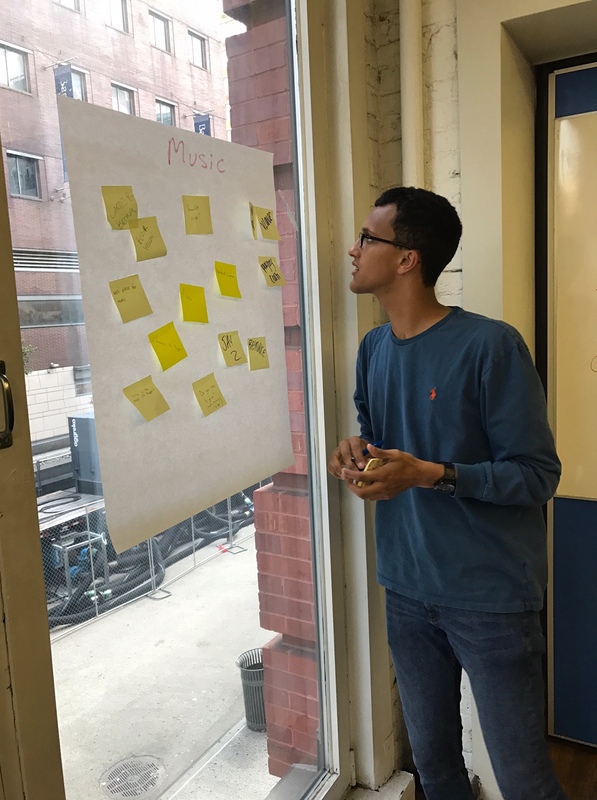 While at Global Kids in New York, participants engaged in activities with other youth leaders from around the world. The outstanding success of the program is, in part, attributed to the multitude of remarkable U.S. organizations dealing directly and indirectly with the subjects of racism, poverty, marginalized populations, and hate groups with whom Legacy was able to partner. 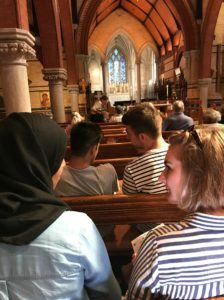 Through meetings and resources provided by these various organizations, the U.K. participants received information addressing pertinent issues faced by an assortment of socio-economic, ethnic, and religious groups in the United States. Throughout all the meetings and sessions held during the 2-week program, the idea that social cohesion demands effort on many fronts was repeatedly highlighted. The indispensible resources acquired from the organizations visited, coupled with the invaluable experience of meeting, firsthand, with organizations working on issues that Jo Cox was so passionate about, has prepared these young people to be the leaders that the world needs, today. 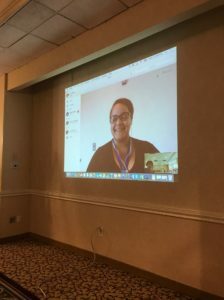 Shay DeGolier from the Southern Poverty Law Center joins us via Skype to discuss the resources and tools they have available to combat hate groups. Thank you to all our partners and guest speakers for taking the time to meet with us and discuss your work.